We had a lovely surprise in February. 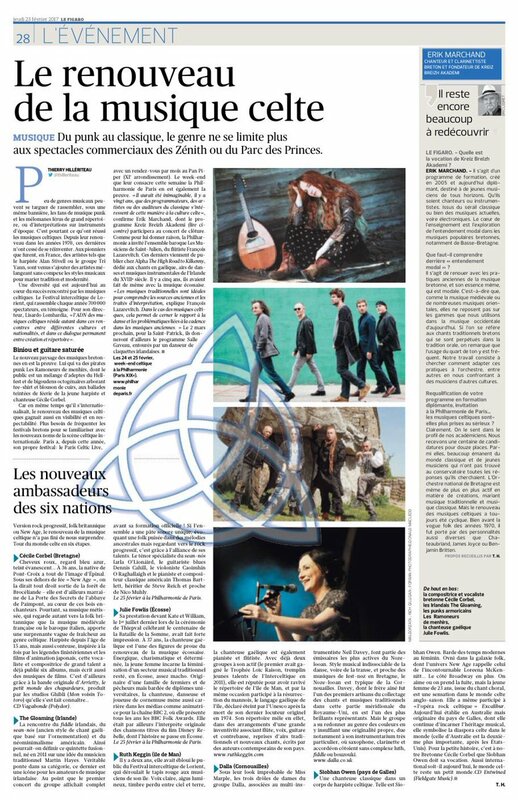 Le Figaro newspaper (the world famous French national newspaper) ran an article on the “The New Ambassadors of Celtic Music” and Siobhan was one of the six mentioned. The article is below along with the translation of the piece on Siobhan. Progressive rock, British folk or New Age, the renewal of Celtic music has not ceased to surprise us. Celtic world tour in six stages. A classical singer in the body of a Celtic harpist. Such is Siobhan Owen. Female bard of the modern times. UFO in the folk galaxy, whose New Age universe is reminiscent of the inescapable Loreena McKennitt… With Broadway rating in addition. One can love or leave the diversion, but the young woman of 23 years, outcome of choral singing, is a sensation in the Celtic Anglo-Saxon world. She has even participated in “the Celtic rock opera” – Excalibur. 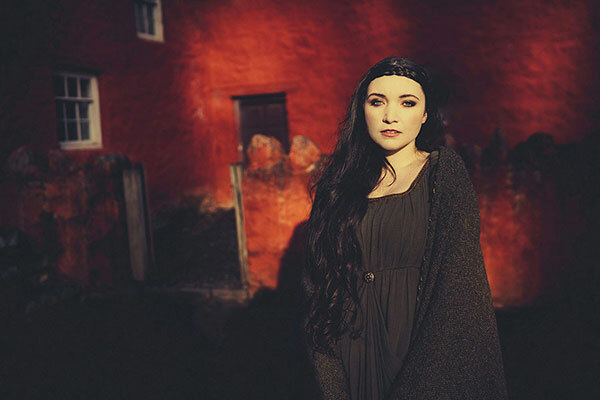 Today established in Australia but originating from the country of Wales, she continues to embody her musical heritage, and symbolizes the Celtic diaspora in the world (Australia being the second most important, after the United States). For a little story, it is our Bretonne Cecile Corbel who inspired Siobhan Owen to her vocation. As international as it is today, the Celtic world remains a small world. CD Entwined (Fieldgate Music). 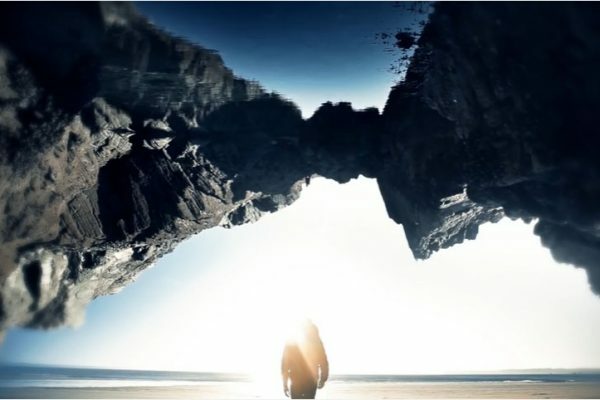 Siobhan is excited to announce the release of the official music video for her song “An Hini a Garan” from her “Entwined” album. Siobhan would appreciate her followers to share, like and comment on this and her other videos on youtube.